Since it began in 1967, the Canada Games has helped develop some of the country’s top athletes. From Olympic champions to Stanley Cup winners, names like Eberle, Sidney Crosby, Patrick Marleau, Steven Stamkos, Jennifer Botterill, Hayley Wickenheiser, Angela Bailey, Lennox Lewis and numerous other stars have participated at the multi-sport event held every two years, alternating between summer and winter. For Eberle, nearly 650 games into his NHL career, the men’s hockey bronze medal he won in 2007 as part of Team Alberta still stands as a cherished memory. “I can remember just how cold it was during the Games,” Eberle started. “But it was beautiful in Whitehorse. They did a great job of hosting it and to be able to walk around the athletes’ village, meeting people from all over Canada who played different sports, and soaking up the atmosphere… it was something you’ll never forget. Winning a medal, however, wasn’t the biggest takeaway for Eberle, whose decorated World Junior career with Team Canada includes gold at the 2009 tournament and a silver medal in 2010. 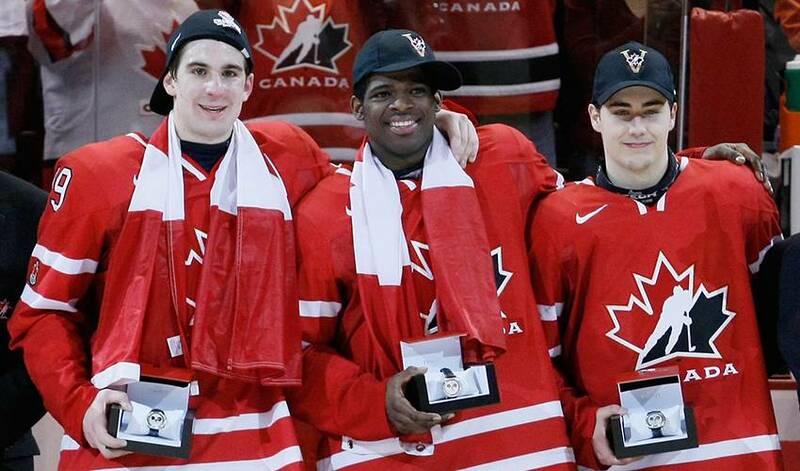 Instead, it was what the Canada Games (this year being held in Red Deer, Alberta) represented for an aspiring NHLer. Something that’s helped Eberle embrace the times he’s worn the Team Canada colours. Which is exactly why Eberle remains grateful for his Canada Games experience from 12 years ago.